Suppose you’re buying a home, and your bank or lending institution asks if you’d like to buy mortgage life insurance. You’re faced with the uncomfortable idea of leaving a big debt to your family, and the cost seems reasonable when quoted in pennies per $1000 of coverage (the old reduce to the ridiculous approach), so you say “sure”. You go through a few short medical questions, and straight away you’re approved. The cost of the mortgage insurance is then folded-in to your mortgage payment. Keep in mind the bank asks you to make this buying decision when you likely haven’t had any time to do comparison shopping. It’s probably a very hectic time in your life as you are focused on house hunting, real estate agents, lawyers, mortgage shopping, changes in family and finances, etc…, so the sheer number of items on your to-do list can be overwhelming. Compared with a spending hundreds of thousands of dollars for a new house, what are a few more pennies per $1000 per month for mortgage life insurance? But did you make the best choice? Many people don’t realize that mortgage or creditor life insurance sold by banks and mortgage lenders is quite different than individual policies sold by life insurance brokers. Mortgage insurance may sound like a good idea at the time, but this kind of insurance can be more expensive and have fewer features than individual insurance purchased directly from a life insurance company. True mortgage life insurance sold by mortgage lenders provides a death benefit that decreases as your mortgage decreases. On the other hand, individual term life insurance, purchased through a life insurance broker, offers a level death benefit no matter the outstanding mortgage balance. And the amount of coverage for individual term is flexible and can be for the same as the mortgage amount, or less or more depending on your preference. So it would seem reasonable that mortgage life insurance would cost less than a product that provides a level death benefit. Let’s take a look at an example. Is Mortgage Life Insurance through the bank less expensive? Suppose you’re taking out a $350,000 mortgage at the Royal Bank. You’re 46 years old, and your spouse is 44. If you opt for the RBC Home Protector Insurance plan, you’ll pay a monthly premium of $257.04. Before you sign up with RBC, you could shop around using the TermCanada instant quote calculator at the upper right side of this page. Just put in the amount of coverage you want, your age, health and whether you smoke. Then, you’ll receive a complete list of 25+ Canadian companies showing exactly which companies have your best life insurance rates. Option #1 – 10 Year coverage:• Couple age 46 and 44, $350,000 each, 10-Year Term Life Policies, standard non-smoker rates, the combined total premium is $62.78 per month ($41.04 + $21.74) with Empire Life. Option #2 – 15 Year coverage:• Couple age 46 and 44, $350,000 each, 15-Year Term Life Policies, standard non-smoker rates, the combined total premium is $90.14 per month ($54.95 + $35.19) with Assumption Mutual Life. Option #3 – 20 Year coverage:• Couple age 46 and 44, $350,000 each, 20-Year Term Life Policies, standard non-smoker rates, the combined total premium is $120.53 per month ($79.69 + $40.85) with Manulife. So you can see there is a sizable and quite unreasonable price difference when comparing the RBC Mortgage Insurance plan ($257.04 per month) with individual 10, 15, or 20 year term insurance purchased through TermCanada ($62.78, $90.14, or $120.53 per month). Underwriting for mortgage life insurance is done at time of claim, not at time of application. Also, mortgage insurance is often sold by non-insurance licensed bank staff, and the medical questions and their implications may not be carefully and adequately explained. This can lead to policies not standing the test of time and denied claims. An excellent documentary on mortgage life insurance called “In Denial” on CBC’s Marketplace show. I encourage anyone thinking of buying bank mortgage life insurance to check it out. If you change banks or lending institutions when your mortgage is up for renewal, you’ll need to re-apply for coverage at the new lender. This means submitting new health evidence, and paying higher rates based on your current age. Suppose you have been diagnosed with cancer since you first took out your mortgage … your new mortgage company may not want to insure you. 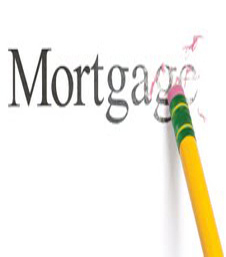 Mortgage life insurance through a lending institution ends when the mortgage is paid off. And your coverage may be cut short when you reach a certain age, usually age 70. An individual policy can be continued even after a mortgage is finished. And if you have a term life policy to cover a mortgage, you can convert it into a permanent policy (Term-to-100, Whole Life, or Universal Life) without health evidence in the event of a major change in health such as cancer, stroke, or heart attack. With an life insurance individual policy, you are in control of who owns the policy, and you choose your own beneficiaries. Your family decides what to do with the life insurance benefit, and can either pay off the mortgage or choose to use the money for another purpose. With creditor mortgage life insurance, the bank is the beneficiary and receives the proceeds of the policy. With individual life insurance policies, if both insured’s pass away at the same time (such as a car accident), two death benefits would be paid to the insured’s family or estate. With bank mortgage insurance, if both insured’s pass away at the same time, the outstanding mortgage balance is paid off only once.